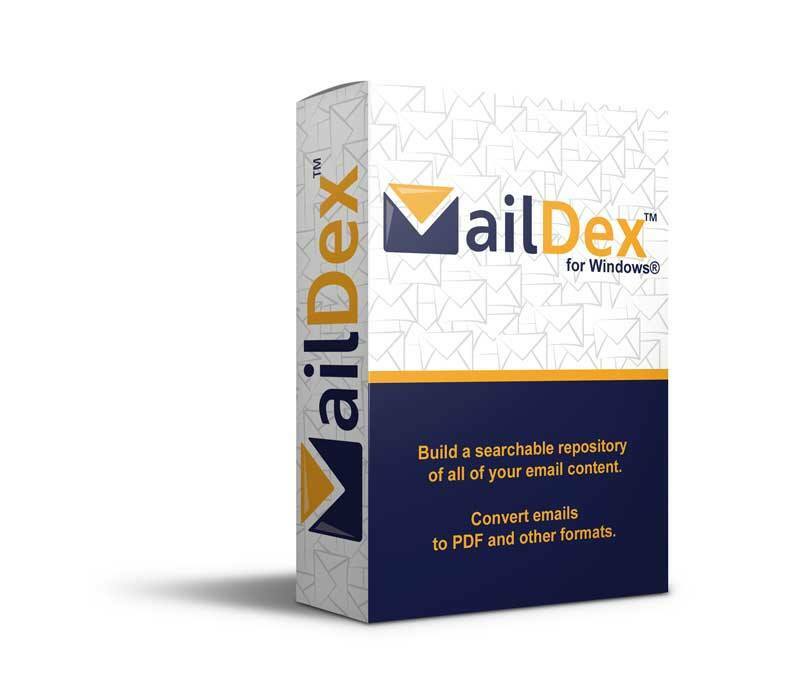 Solve your email search problems with MailDex. Build lightning fast indexes from email content. Convert email to PDF, CSV and other formats. Perfect for first pass legal discovery. Try it free. We have made OpenPGP email encryption easy for Microsoft Outlook users. One signed installer package, professionally developed and supported, easy to use, free for personal use. Our Outlook add-in for sending secure messages to non-technical recipients using the friendly PDF file format. PDF Postman is a good alternative to unworkable encryption schemes. PST Viewer Pro opens email stored as .pst, .ost, .msg, .eml, and .mht files. Search for messages. Bulk print and convert email to .PDF and other formats. Supports PDF/A email archiving standard. Can be used as a command line tool for processing email. For saving email messages outside of Outlook, MessageExport can't be beat. Use it to convert Outlook emails to .pdf, .msg, .eml, .csv, .mbox and other formats. Customize and automate Outlook email exports in countless ways.